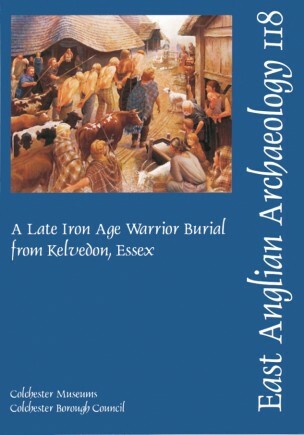 In 1982 Jim Bennett, an amateur archaeologist, excavated a late Iron Age warrior burial at Kelvedon in Essex. It was a discovery of national importance because there are so few warrior burials of the period. 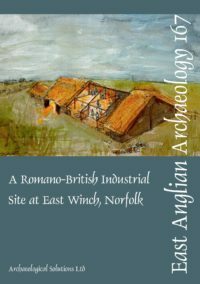 After the death of the excavator, the finds were dispersed but they were eventually assembled at Colchester Museums for exhibition, study and publication. The warrior was laid to rest c.75–25 BC with a sword, spear and shield. His bronze scabbard is decorated — uniquely — with a strip of applied tin. Other finds included copper-alloy fittings from a tankard, and a bronze bowl from the Roman world. The style of fighting exemplified by Kelvedon developed on the European mainland in the 3rd century BC but was not adopted in Britain until much later. The Kelvedon shield boss and spear are the products of armourers who worked across the English Channel. The warrior might have been a Briton recruited to fight in the Gallic Wars or a Gaulish refugee from the conflict. Kelvedon is only the third Iron Age warrior burial from Britain with pottery, in this case a pair of Aylesford-Swarling pedestal urns. There is no consensus about when such pottery emerged in Britain and the start date is fully discussed in the report as part of the assessment of the date of the grave. Other topics addressed in the report include the incidence of warfare in late Iron Age Britain, the part warfare played in state formation and the social complexion of an Iron Age war band. The Kelvedon warrior was an elite fighter; he was not a typical Iron Age combatant because most other contemporary warriors had to make do with just a spear. Except where otherwise noted, this work is licenced under a Creative Commons Attribution 3.0 Unported Licence.